Meet Prof Habib and talk to him about your unique vision needs. Find out how Wavefront LASIK treatment can permanently improve your vision at our next free patient education seminar. Call now to book your place. Patients undergoing cataract surgery in the Plymouth Royal Eye Infirmary can now benefit from a revolutionary new computer assisted cataract surgery system which includes robotic-like tracking and data displaying through the operating microscopes. This new system promises better visual outcomes for patients from all the southwest which is now available at the hospital among few selected centres in the world. The equipment necessary for this high tech surgery has become available through a collaboration between the Plymouth Hospitals NHS Trust modernisation program and a generous donation form the League of Friends of the Infirmary. "The new system - Callisto eye Assistance - incorporated in the world renown "Carl Zeiss" microscopes includes many functions such as incision, surgical steps and lens implant orientation assistants as well as "markless" Eye Tracking. The patient first have their eyes metrics and reference images recorded with high-precision, high-accuracy ultralong-range swept-source optical coherence tomography then the data are relayed remotely from the clinic to the operating room to optimise the workflow. These many computer assistant functions enable better standardisation of the surgery and better reproducibility resulting in excellent visual outcomes," Professor Nabil Habib, Consultant Ophthalmic Surgeon at the Royal Eye Infirmary said. Local & regional TV channels and press reported the news in December 2016, please click here for the Plymouth Herald, Torquay Herald Express, and BBC. 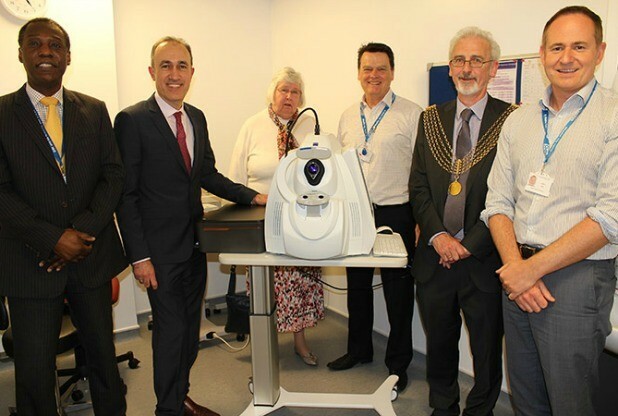 Thanks to a generous donation from the League of Friends of the Plymouth Royal Eye Infirmary, the people of Plymouth and the wider Peninsula will now be the first in the UK to have access to a groundbreaking scanning technology of the retina allowing 3D visualization of microcirculation within the retinal blood vessels. The new scanner made by the world renown Carl Zeiss Meditec can perform as many as 68,000 scan in one second, and has real-time tracking system that reduces artifacts from eye motion. This non invasive technology allows doctors to examine the details of the circulation within the retina without the need for injecting any contrast dyes into the blood stream which makes the whole procedure much faster, safer and better tolerated by the patients. “This will provide us with unprecedented details and precise blood flow images along with higher quality structural images which will help us in managing a wide range of conditions such as Macular Degeneration and Diabetic Retinopathy,” Professor Nabil Habib, Consultant Ophthalmic Surgeon at the Royal Eye Infirmary said. Local press reported the news in May 2016, please click here to read the full story. 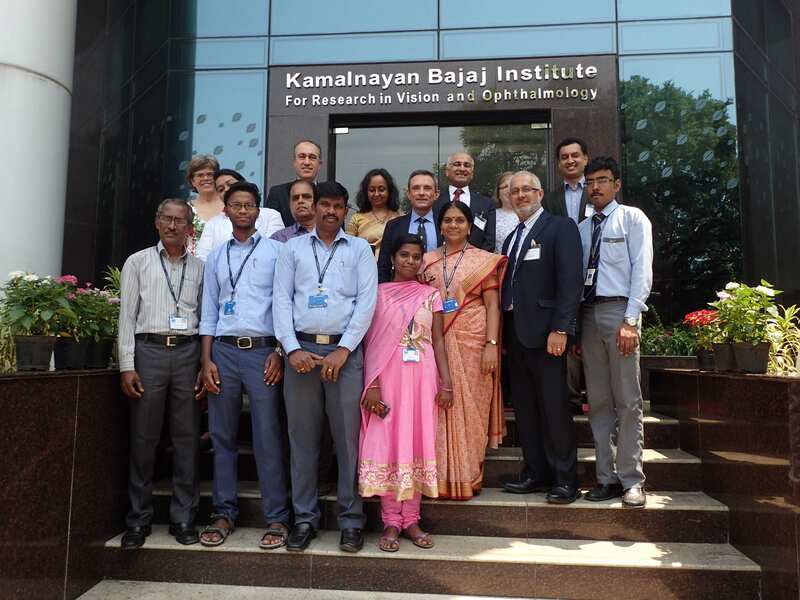 In March 2016, Prof Habib joined the examination team of the Royal College of Surgeons of Edinburgh assembled from eye surgeons in the UK, Ireland, India and the Middle East to hold the fellowship examination of trainee eye surgeons in Chennai, India. There were many candidates sitting the examination from the Indian sub-continent, the Middle East and the Far East over a week. The examination included oral and clinical components. Above is a photograph of all the staff who helped the smooth running of the examination at the renown Kamalnayan Bajaj Institute - a charitable institution providing high quality eye care to the people of Chennai. The American Academy of Ophthalmology has granted Professor Habib an Achievement Award in recognition for his contributions. The Award program recognises individuals for their contributions based on participation in the Annual Meeting (Course Instructor, Scientific and Poster Presenter, Paper, Video/Film Producer), or other areas of service to the Academy. In appreciation and gratitude for his service to the Academy, Professor Habib's name and photograph will be published in the 2013 Annual Meeting Final Program in New Orleans. On the 23rd of April, 2013 (St. George's Day) the new Plymouth Royal Eye Infirmary on the Derriford Hospital site was officially inaugurated by HRH the Countess of Wessex. This event was the final milestone in relocating eye services in the city and region from the old premises in Mutley to the new location. HRH was impressed with the new facility and the committment of the staff in providing excellent care to the patients of Devon and Cornwall. 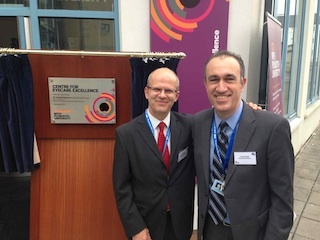 The Centre for Eyecare Excellence (CEE) is situated on the University of Plymouth campus. It provides primary eye care to the public and optometry training through a state-of-the-art teaching facility for undergraduate and postgraduate optometrists, equipped with the latest instrumentation and staffed by fully qualified optometrists. Mr. Habib was invited to the opening ceremony on the 23rd of April, 2013. A commemorative plaque was unveiled by Dr David Adams, Head Optometrist at the Plymouth Royal Eye Infirmary in the presence of many dignitaries and professors of Plymouth University. John Butter was born in 1791 in the village of Woodbury, near Exeter, Devon. After receiving his education at Exeter Grammar School, he followed in the footsteps of his father and entered the medical profession. 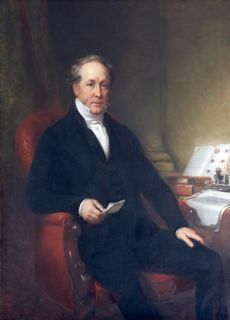 He continued his studies at the Devon and Exeter Hospital and in 1811 became a Fellow of the Royal Society of Physicians (FRSP), Edinburgh, and a Member of the Royal College of Surgeons (MRCS), England. In 1820 he was awarded a Doctor of Medicine (MD) degree from the University of Edinburgh and two years later was elected a Fellow of the Royal Society (FRS). His father was the medical attendant to Lord Rolle and it was through that connection that in 1814 John Butter was appointed as the surgeon to the South Devon Militia, a post he was to hold for 45 years. The Regiment were at that time providing the guard at the Napoleonic War Prison at Princetown and in 1814 he marched with the Regiment into Plymouth, where they took up residence at Millbay Barracks. He settled in the Town and practised as surgeon until he was awarded a MD degree in 1820, after which he practised as a physician from his home in George Street. He specialised in diseases of the eyes. With the help and support of Doctor Edward Moore he founded the Plymouth Eye Dispensary in December 1821 in a house in Cornwall Street, Plymouth. In 1823 it changed its name to the Plymouth Eye Infirmary. In 1828 the HRH the Duke of Clarence, later King William IV, became its Patron and it became the Plymouth Royal Eye Infirmary. After a short time in Westwell Street, at Christmas 1844 the hospital was moved to a house in Millbay Road, on the site of the present Continental Hotel. In 1901, the Infirmary moved to its landmark bright red brick building in Mutley and His Majesty King Edward VII consented to continue the Royal Patronage. In recognition of Dr. Butter’s services to that institution, he was in January 1854 presented with his portrait, painted by Mr. Lucas, and a handsome silver salver worth £100. The portrait was hung in the boardroom and Library at the Royal Eye Infirmary in Mutley. Mr. Nabil Habib, Consultant Ophthalmic Surgeon & Honorary Librarian of the Infirmary arranged for the portrait to be professionally restored in 2012 before the final move to the Derriford site through a grant from the League of Friends of the Royal Eye Infirmary under the chairmanship of Mr. Fuad Feddo. Once again, Mr Habib was an invited faculty among many international surgeons who atended the meeting this year to participate in the corneal transplantation didactic teaching. 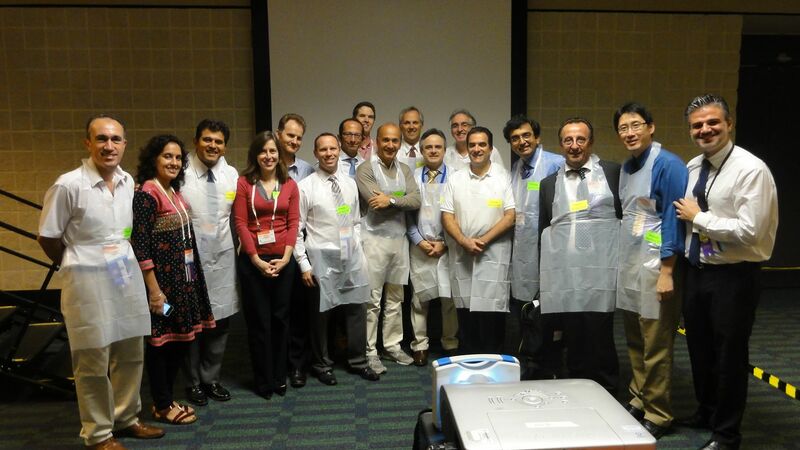 The course was well received by surgeons-in-training from across the globe. 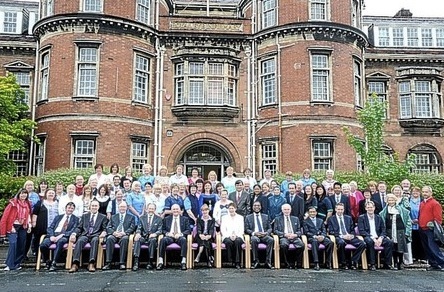 Surgeons, nurses, staff and supporters posed for the picture at the Victorian hospital in Mutley. Services will move to Derriford Hospital in coming months after more than a century of care at the iconic building. The foundation stone for the REI was laid in 1897 to mark Queen Victoria's Diamond Jubilee. It officially opened in 1901 and cost £13,600 to build and furnish. Plymouth Hospitals NHS Trust, which runs the infirmary and Derriford, says relocating from the much-loved but 'cramped' building will significantly improve care. The new unit is under construction within the main hospital building and is expected to open in December. The fate of the Grade II-listed REI still hangs in the balance. Its owners have said it could be turned in to flats. Property development company Eagle One Homes Ltd bought the building in 2005. Plymouth Hospitals have leased it for the past seven years. Mr Nabil Habib, consultant ophthalmic surgeon, said the move will be an "important milestone" for eye care in Plymouth and the region. He said: "An extraordinary effort has been made by so many to establish a department fit for the 21st century and the League of Friends of The Royal Eye Infirmary has been very supportive in providing cutting edge technology. The brand new facility is matched with state-of-the-art equipment which confirms the role of Plymouth as one of the country's leading centres." "The Trust has also been investing significantly to update the infrastructure of the department including a computerised networking solution to access all eye investigations electronically. We are all looking forward to this move and feel reassured that our patients will see significant improvement to their experience in the new premises." Before the present REI was founded, the Plymouth Eye Dispensary was opened in a Cornwall Street house in 1821. In 1828 His Royal Highness the Duke of Clarence, later King William IV, became its patron and it was renamed the Plymouth Royal Eye Infirmary. As the service and number of patients grew a larger facility was needed and the Royal Eye Infirmary moved to Mutley. The new building, was officially opened by Lady Mary Parker on October 30, 1901. Today, the REI treats 50,000 patients every year and is still expanding. Currently under construction, the new eye unit, in a dedicated area which has been vacated by kidney dialysis services, will include four operating rooms as well as 30 dedicated clinic and assessment rooms. 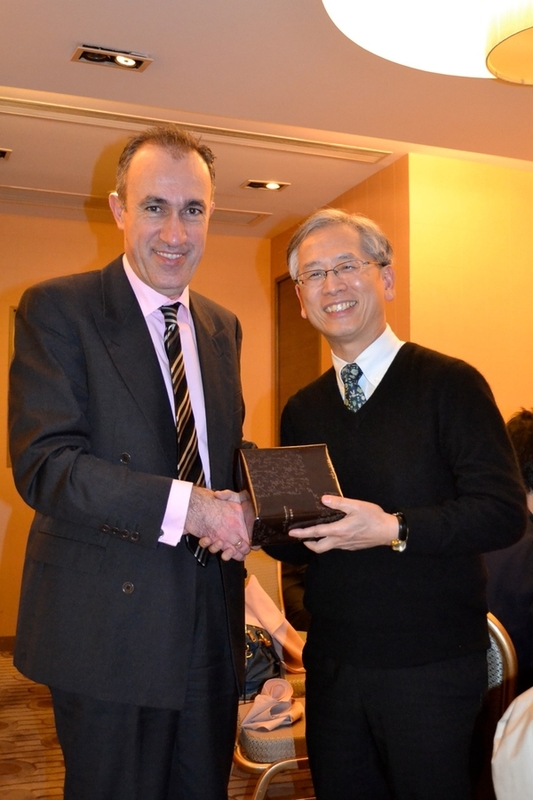 In May 2012, Mr Habib was invited to co-chair a symposium on advanced corneal topography and tomography at the annual congress of the Royal College of Ophthalmologists in Liverpool. Mr Habib introduced the meeting with a talk on the use of OCT scans in anterior segment analysis and was followed by several international experts from the USA & UK. In November 2011, Mr Habib joined a team of senior examiners from across Europe and the Middle East to examine trainee ophthalmic surgeons who assmbled in Cairo to do the prestigious exam certificate by the Royal College of Surgeons. During the visit, Mr Habib was awarded the International Medical centre highest medal of honour by a Defence Ministry health chief in recognition of his valuable contributions. In March 2012, he was honoured by the president of the College of Hong Kong for his contribution in the Royal College examination in China. The corneal transplantation didactic course at the American Academy Annual Congress in October 2011 has been once more well attended and a great success. Mr Habib is an invited faculty among many international surgeons from the United States and Europe who atended the meeting this year to participate in the teaching programme. 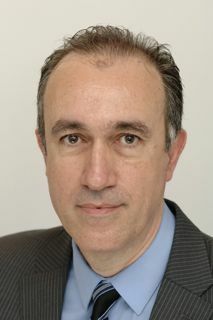 Eurotimes reported that "In a session examining the use of anterior segment imaging, Nabil Habib, Plymouth, noted that while there are number of modalities for anterior segment analysis, it is important to look at software development when choosing equipment and to remember that integrated technology is time saving. Saj Khan, East Grinstead, in explaining how he screens his laser vision correction (LVC) patients, said he takes the approach that no patients are suitable for LVC unless proven otherwise. Mr Khan stressed that documented, thorough screening, especially for ectasia risk factors despite still being difficult to identify, is a must to ensure the best clinical outcome and protect the surgeon from unnecessary medico-legal risks. The meeting also heard that accurate manifest refraction is the most important variable when calculating a phakic IOL procedure from Jan Venter, London, in his presentation on his screening and examination methods for phakic IOL patients." Maxine Blackman has undergone sight-saving corneal transplants on both eyes. The Herald’s health reporter Diana Prince reports from the operating theatre to highlight the urgent need for more donors. MAXINE Blackman does not know the two men who saved her sight. Her corneal transplants were made possible by donors who pledged to give their organs after death. The 71-year-old widow, of Plympton, said it is the "greatest gift" they could have offered. She has undergone NHS operations on both eyes to replace the delicate inner lining of her corneas – the 'clear window' which lets in and focuses light. The first was on her right eye in 2007, when she was one of the first patients in the country to have a new type of transplant being pioneered in Plymouth. The second was yesterday, after the sight in her left eye also deteriorated. Maxine has Fuchs' corneal dystrophy, a disease which causes progressively blurred vision. She describes is as "trying to look through a very cloudy bathroom mirror". 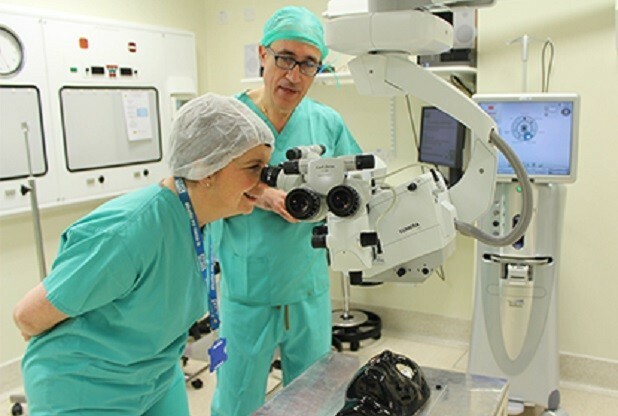 Maxine and consultant ophthalmic surgeon Mr Nabil Habib allowed The Herald into theatre at the Royal Eye Infirmary (REI) to highlight a need for donors. Urging more people to sign the Organ Donor Register, she said: "Without the expertise of Mr Habib, the donors and their families, I wouldn't be able to see. Life would be very different for me. "The only thing I know about the first donor was that he was a 72-year-old man. "It is the greatest gift you could ever give, without even knowing who you are giving it to. I am so grateful. "I would have liked to be able to thank his family. They have to agree to the donation as well." Maxine, a grandmother of three, arrived at the REI in Mutley at 7.45am to prepare for her second 'endothelial corneal transplant'. It involves replacing only the innermost layer rather than the entire cornea, making the procedure is less invasive and safer. The REI was the first hospital in the country to carry out the surgery using automated equipment. It is still the only centre south of Bristol to perform the highly-specialised operation – about 30 times a year – and takes complex cases from around the country. Anaesthetists prep Maxine by injecting a local anaesthetic under her left eye. She will stay awake throughout the hour-long procedure. 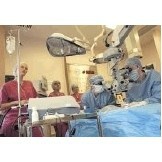 As Mr Habib scrubs up, he explains: "We won't cut her cornea at all. We just remove a layer from the back and replace it with another layer through a small incision at the side of her eye." The replacement cornea was transported from the Bristol 'eye bank' the night before. It was donated by a 65-year-old man who died of a brain haemorrhage in early March, says Mr Habib. Corneas can be donated up to 24 hours after death and stored for four weeks. Mr Habib takes the replacement cornea – a clear disc still surrounded by part of the white of the eye – from a plastic container and locks it on to a metal stand. After careful measuring, he shaves off three fifths of the outer layer using a high-tech razor. He cuts the white from the cornea using what he describes as a tiny "cookie cutter". The result is a tiny disc less than 1cm in diameter, which appears as thin as a piece of cling film. At 9.45am, Maxine is on the operating table covered with a blue sheet with a gap over her left eye which is clamped open. Mr Habib works through a ceiling-mounted microscope. Classical music plays while he works. As he cuts her eye with a diamond-tipped scalpel, the surgeon asks his patient: "Do you like the music?" She replies: "Very much." Mr Habib stains the damaged layer – the 'endothelium' – of cornea with blue dye and removes it through the incision. The replacement tissue is placed on a tiny spoon-like instrument and placed into the eye, again through the cut. It is pulled in to place by a thread thinner than a human hair. In order to make it stick to the back of the cornea, an air bubble is injected to fill the front of the eye. Maxine must stay on her back for as much as possible in the following 24 hours to ensure the bubble keeps the new cornea in place. After returning home at around 4.30pm yesterday, she will today return to the REI today to check the tissue has anchored. Her sight should return to normal. "A FATHER of three has regained his full eyesight after becoming one of the first patients in the world to undergo a new type of lens transplant. Andrew Keen, of Ivybridge, suffered from complex and worsening vision problems including extreme long sightedness until the groundbreaking operation in Plymouth. The 49-year-old has undergone surgery to implant acrylic multi-focal lenses in both eyes. He was operated on by Mr Nabil Habib, consultant ophthalmic surgeon, one of very few surgeons in the country trained to do the procedure. Before the two operations, paid for privately, he could hardly see his wife's face or the outline of his car without glasses. Andrew, father of three and managing director of an engineering company, said: "It's been life-changing". In his mid-30s his near-vision began to worsen as a result of presbyopia, a condition which typically affects people around their mid to late 40s. Andrew said: "I was so keen to avoid wearing glasses again that I tried every contact lens option available but none of them worked. I then purchased an extremely expensive pair of glasses to keep the weight down as much as possible, but even then the pressure on my nose and along my temples led to severe headaches and made me very depressed." In May last year, Andrew went to see Dr Nabil Habib, who advised him that his case was particularly complicated and lenses were not yet available to correct the problem. The following month a suitable new multi-focus lens – called the Lentis Mplus Toric – was launched after a clinical trial. Mr Nabil Habib, consultant ophthalmic surgeon, said: "It's amazing technology, very clever, advanced and new. "The eye is like a camera in effect. Removing the lens of the eye and replacing is normally done for cataract surgery." Andrew decided to have it implanted and, 24 hours after surgery, was able to see clearly without glasses or contacts. He had the operation on his other eye in September. 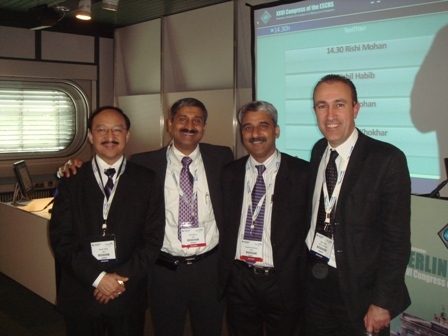 Mr Habib attended the American Academy of Ophthalmology annual meeting in Chicago in October 2010. He participated with eminent surgeons from across the globe including Prof. Donald Tan (President elect of the International Society of Refractive Surgery-Singapore), Sadeer Hannush (USA), Sheraz Daya (London), Vincenzo Sarnicola (Italy) among others in teaching corneal tranpslant surgeons the intrecacies of lamellar (layer) corneal transplant techniques to improve the outcomes of surgery in complex patients requiring such advanced operations. Mr Habib has been an invited faculty on advanced didactic corneal transplant courses in the European Society of Cataract and Refractive Surgery and American Academy of Ophthalmology for some years due to his commitment in promoting education and research in the field of corneal transplantation. "It got to a point in 2008 where I couldn't see anymore," said Holcomb in an interview with NBC. "They couldn't make contacts strong enough. I went to my coach and told him I had to quit," Holcomb said in the same NBC interview. "I had to retire because it was becoming a safety issue, I can't see anymore. 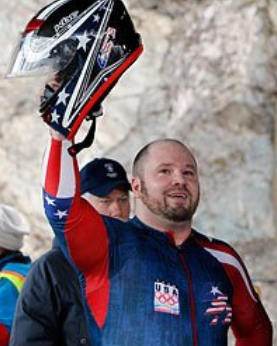 They put a lens inside my eyes," Holcomb explained in the NBC interview. "It's basically a contact lens inside my eye, right behind my iris. It was about ten minutes, and as soon I was up I could see 20/20. It's been pretty incredible ever since and literally a year later I'm a world champion." Mr Habib and his team presented several new research papers at three prestigious international meetings in September & October 2009. These included the European Society of Cataract & Refractive Surgery annual congress in Barcelona, The United Kingdom & Ireland Society of Cataract and Refractive Surgery annual meeting in Leeds and The annual congress of the American Academy of Ophthalmologists in San Francisco. Presentations covered several topics including the use of advanced lens implants in cataract surgery and new techniques in Corneal transplantation. "Mr Habib, consultant opthalmic and corneal transplant surgeon, started treating patients with the new procedure in October last year. Called 'collagen cross linking', it involves treating the eye with riboflavin (vitamin B) before exposing it to ultraviolet light, which toughens the cornea and prevents it from distorting further.The Nuffield hospital in Plymouth is the only place offering the treatment in the South West, he said. Mr Habib said: "It's a revolutionary treatment. It stops the condition from progressing for at least a decade. "The condition seems to progress more in younger people. If we can catch it early and delay it for 10 years then patients may not need further treatment." About 15 patients have been treated so far and results have so far been 'very good', said Mr Habib, in line with successful clinical studies abroad. Keratoconus affects one in every 2,000 people. About 20 per cent of sufferers end up needing a cornea transplant." "Around 600,000 Britons suffer with Fuchs' corneal dystrophy, an eye condition that can cause blindness. Corneal transplant can take two years for sight to be restored, but a new procedure helped Martin Macleod, 61, from Devon, recover within three months, writes David Hurst....."
Mr Habib attended the annual congress of this prestigious society which was held in Germany. Together with other eminent professors, he lectured eye surgeons in training on the details of corneal transplantation surgery during a didactic course which was, as usual, very well attended. Outcomes in a study of more than 5000 eyes in the US supports the conclusion that the Visian implantable collamer lens (ICL; STAAR Surgical) is a safe, predictable, and very effective method for correcting moderate-to-high myopia (short sight). Following surgery, 68% of patients were able to see without glasses as well or better than before the operation using their glasses or contact lenses. The procedure can benefit patients who are unable to have laser surgery either because of the high degree of their myopia which is not possible to correct with laser or if the cornea is too thin. Mr. Habib has been using the Visian ICL for correction of high myopia in Plymouth since early 2007 with outstanding results. He has also used the toric-Visian ICL for correction of high astigmatism in patients who had corneal transplants or keratoconus. There are approximately 920,000 blind and visually impaired people in England, but a new device that maps the eye could be a major breakthrough. Technology called spectral OCT, used in the latest generation of eye scanners, may be able to detect eye disease and treat it before damage is done. "We're talking about spectral domain OCT. That's optical coherence tomography, and that's a way of looking at the eye, just using light," Mr Habib said. Optical coherence tomography is a powerful, non-invasive diagnostic imaging technology that provides high-resolution, cross-sectional images of the eye and other tissues of the body . In ophthalmology, OCT has a broad range of clinical applications because of its ability to perform “optical biopsy” of the retina and the anterior segment without surgery. The examination isn't the simple one most people get at a high-street eye test, but it is painless and quick. Within a few minutes, the scan reveals a wealth of information about vision by creating 3-D images of the inside of the eye. Spectral OCT allows doctors to see the tiniest of details inside the eye and identify the specific areas that are damaged. As a model, patient's eye maps can be compared to other people's eyes, including normal, colourful, healthy eye tissue or an eye with glaucoma, diabetic maculopathy or macualr degeneration that isn't as brightly coloured. Even for non-professionals, the difference is easy to see. Members of the medical community are excited about spectral OCT because of its potential to hold off eye disease. Mr. Habib thinks the technology may be able to prevent blindness, and is very excited that he can now offer this advanced scanning technology to his patients at the Nuffield Hospital in Plymouth. Foggy, deteriorating vision could have left Martin Macleod blind within a year. But thanks to a new type of corneal transplant, currently only being offered at Plymouth's Royal Eye Infirmary, he now has completely clear vision.Martin, 61, from Chudleigh, started to notice his vision in his right eye was going cloudy a few years ago. The vision in his left eye was already poor after he contracted measles at a young age. "I got corneal dystrophy which crept across my right eye until I had little or no vision left in it. I would not have been able to see had it got any worse," he said. The condition alters the transparency of the cornea, blurring the patient's vision. People who suffer from it notice a gradual deterioration of their eyesight and it can often feel like there is grit in their eye. 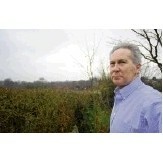 Martin said: "I had to stop driving and my vision was becoming increasingly foggy. It caused problems looking at computers or books and newspapers - that was a problem for me because I collect books." Martin was referred to a consultant in Exeter and from there he was put on the transplant list. "Corneas are in very short supply. I was meant to have the operation in May last year but they didn't have any available," he said. But the extra wait meant Martin was considered an ideal candidate for a new type of corneal transplant being carried out at Plymouth's Royal Eye Infirmary. And last September he underwent the pioneering operation. During the operation, part of the cornea is removed from the patient's eye and replaced by the donor one. An air bubble is used to press this new donor layer to the front of the patient's eye. Around six stitches are needed to close the incision and to seal up the opening where the irrigation tube was inserted. Standard corneal transplants require around 17 stitches because the cornea is cut out and replaced. Martin said: "It's like the difference between a clear and a foggy day. I didn't realise how badly my eyesight had deteriorated. If it had not been done I would not be able to see now. It seems like a bit of a miracle to me." Consultant ophthalmologist and corneal transplant surgeon Nabil Habib explained: "This technique has transformed the management of patients requiring a corneal transplant. There are many benefits, including a shorter operating time for the patient, which is carried out under local anaesthetic, and a quicker recovery time with superior visual outcome." 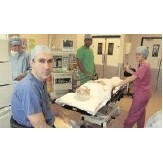 Sue Bond, theatre sister at REI, added: "The procedure is phenomenal. It's blown us all away. "But there is a shortage of donor eyes, as with all donor operations. Unlike other transplants, however, there is no problem with the donor being accepted as there is no blood supply involved - the success rate of corneal transplants is around 98 per cent. There is also no need to make snap decisions for loved ones because eyes can be removed up to 24 hours after death and can be kept for up to one month in a protective solution. Potentially four people can be helped from one pair of eyes." A woman who was practically blind in one eye and underwent a corneal transplant six weeks ago says she is "amazed" by the difference the operation has already made to her life. Maxine Blackman has been suffering from a rare eye disease, and said her lack of sight in her right eye was affecting her independence. In December the 68-year-old grandmother-of-three had an operation at the Royal Eye Infirmary to replace a layer of her cornea. Now, she says she cannot believe the difference in her sight. She said: "I can't believe the difference in six weeks and I just hope it keeps going. It's amazing." Maxine suffers from a condition known as Fuchs Corneal Dystrophy, which she says makes it feel like she is constantly looking through cotton wool, or a frosted window. She is sensitive to light, and even the weather affects how well she can see, meaning her independence was gradually seriously threatened. But since the operation on December 19, Maxine already says she is regaining her confidence and feels a different person. She said: "My confidence is coming back, and I can feel a difference in me. I know there is a long way to go and there could be pitfalls, but I am doing all the right things. "The main difference has been light. I am not so light sensitive. Light isn't uncomfortable any more, whereas it was before." Her condition means part of the layer of the eye's cornea does not function properly and lets water in, thus blurring her vision. In later stages of the disease, this water can cause blisters on the surface of the cornea which can rupture, causing extreme pain. Maxine's right eye is worse than the left, but at some point in the future it will catch up and deteriorate similarly, meaning she could face having the same procedure on the other eye. Nabil Habib, consultant eye surgeon with Plymouth Hospitals NHS Trust, performed the operation on Maxine. Put simply, it involved the damaged layer of Maxine's cornea being removed and replaced with a layer of cornea from a donor. The Royal Eye Infirmary was the first in the country to carry out the corneal transplant using special automated equipment, and Maxine is only the 23rd patient to have the operation in the city over the last 18 months. The first few days after the operation, Maxine couldn't see out of her right eye - this was expected. She said: "It was like Fuchs was still there and the haze was very thick. It was the 12th day after the operation and I got up, went to the bathroom and thought it was definitely lifting. By December 30 the haze had gone. Then all of a sudden there was sight." Maxine says the sight in her right eye is still distorted, but she's been told it will continue to improve over the next few months - which the retired Nuffield Hospital room service supervisor is excited about. After a follow-up appointment on January 21 Maxine was told that she may need some laser surgery on her eye in the future to clear some remaining residue, and then her sight will improve further. "The day I realised there was sight, albeit distorted, I walked around with a stupid grin on my face and made numerous phone calls telling people. It's been really quite exciting," she said. "And there has been no pain. There's been discomfort and scratchiness from the stitches, but there hasn't been any pain. I haven't even had to take paracetamol." Now Maxine cannot praise Mr Habib enough. She said: "He is an exceptional man. He is a very clever man, and he relaxes you." Maxine already feels confident driving at night, which she never did before because of the glare from lights, and is now planning to return to her hobby of line-dancing. She said: "It's completely changing my life and I'm quite positive about the future. I'm hoping it will continue to get better, and it certainly seems like that's what happens." More than 20 patients have received pioneering treatment at a Devon hospital with new laser equipment. Plymouth's Royal Eye Infirmary is the only hospital in the country currently offering the new corneal transplant procedure. Sue Bond, theatre sister at the hospital, said: "The procedure is phenomenal - it's blown us all away." The procedure, called endothelial keratoplasty DSAEK, can be carried out under local anaesthetic rather than general anaesthetic. The new laser enables the top layer of a donated cornea to be sliced off, rather than the whole one. Corneal transplant surgeon Mr Nabil Habib said: "This technique has transformed the management of patients requiring a corneal transplant." "There are many benefits, including a shorter operating time for the patient which is carried out under local anaesthetic and a quicker recovery time with superior visual outcome." An 87-year-old Plymouth woman was able to see her great-grandchildren this Christmas - after winning a battle to receive sight-saving drugs on the NHS. Joan Frude, of Estover, spent almost £3,500 of her life savings on eye injections before health bosses agreed to fund further treatment. The climbdown came after her son Gordon - furious that his mother had been told to 'pay up or go blind' - lobbied local health authorities, MPs and wrote to Prime Minister Gordon Brown. Mrs Frude was told in March that without treatment she was likely to lose her rapidly deteriorating sight within two months. But on Saturday she enjoyed a reunion of more than 60 family members spanning four generations, and said she was 'over the moon' to have her sight saved. "I would have been devastated if I couldn't see my family," she said. "I haven't seen them all together for years, so it's just lovely." Gordon added: "Sight is the most precious gift we've got. The injections have retained her vision so she can remain independent. That means everything." Mrs Frude, who is already blind in her left eye, suffers from wet age-related macular degeneration (AMD), which is the most common cause of blindness in Britain. Plymouth Teaching Primary Care Trust (PCT) declined to pay, classing her eyesight as too poor to qualify under local treatment guidelines. 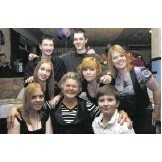 When she and her family found out, they appealed against the decision and The Herald highlighted their story. Their case was taken up by Nabil Habib, a consultant surgeon at the Royal Eye Infirmary, and Devonport MP Alison Seabeck. She has since received treatment at the Royal Eye Infirmary, in October and November, and is due for a further consultation next month. Mrs Frude said: "The injections have retained my sight so I can remain independent and in my own home. It means so much." 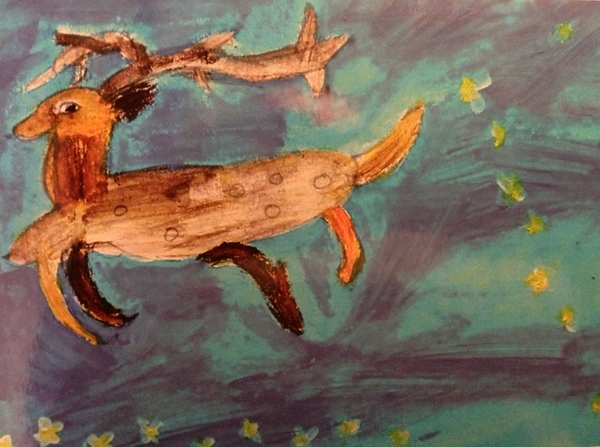 For Maxine Blackman, 2008 will not only mean a new year, but also a new lease of life. The 68-year-old from Plympton suffers from a rare eye disease, and is practically blind in her right eye. But, after undergoing a corneal transplant at Plymouth's Royal Eye Infirmary this week, Maxine's new-found sight is expected to give her her independence back. The grandmother-of-three says the condition, known as Fuchs Corneal Dystrophy, makes it feel like she is looking through cotton wool, or a frosted window. On Wednesday Maxine had the operation at the Royal Eye Infirmary (REI), conducted by consultant eye surgeon Nabil Habib. The REI was the first in the country to carry out the corneal transplant using special automated equipment, and Maxine was only the 23rd patient to have it done in the city over the last 18 months. No other hospital in the South West does this operation, and people from as far away as Scotland have been to the REI for it. Consultant Mr Habib explained to me how it was going to work. In simple terms, a layer of Maxine's cornea, the bit that's damaged, was removed and replaced with a layer of cornea from a donor. Throughout all of this the patient is awake. Mr Habib said: "Immediately after the operation Maxine's sight won't be good because of the air bubble, that lasts up to 48 hours. After that it starts to come back very hazy and then, between two to three weeks, it improves. It keeps improving more and more up to three to six months after the operation. He added: "We have a shortage nationwide of corneas, and it's important for us to encourage donors. "We are also lucky here that we have the equipment from the League of Friends. The machine cost between £40,000 and £50,000. They have spent one-and-a-quarter million pounds on the REI in total and are absolute lifeline for us." Mr Habib attended the meeting in November 2007 at New Orleans. He also attended the Cornea Society meeting to share his results of sutureless corneal transplants with opinion leaders in corneal surgery. 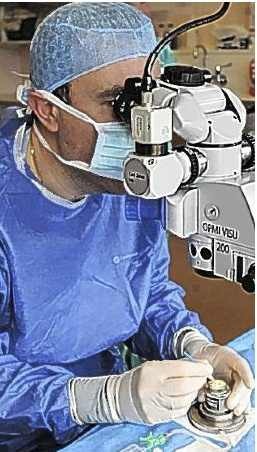 Mr Habib introduced endothelial corneal transplants to the region and is training many surgeons in this new technique. 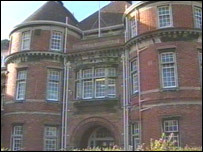 Mr Habib was invited to give a lecture on new treatments of eye diseases at the post-graduate teaching programme at the Sussex Eye Hospital in October 2007. Mr Habib attended the meeting in September 2007 at Harrogate. He presented a paper and a poster on new techniques in corneal transplantation surgery. He was also invited to speak at the laser refractive surgery debate session. 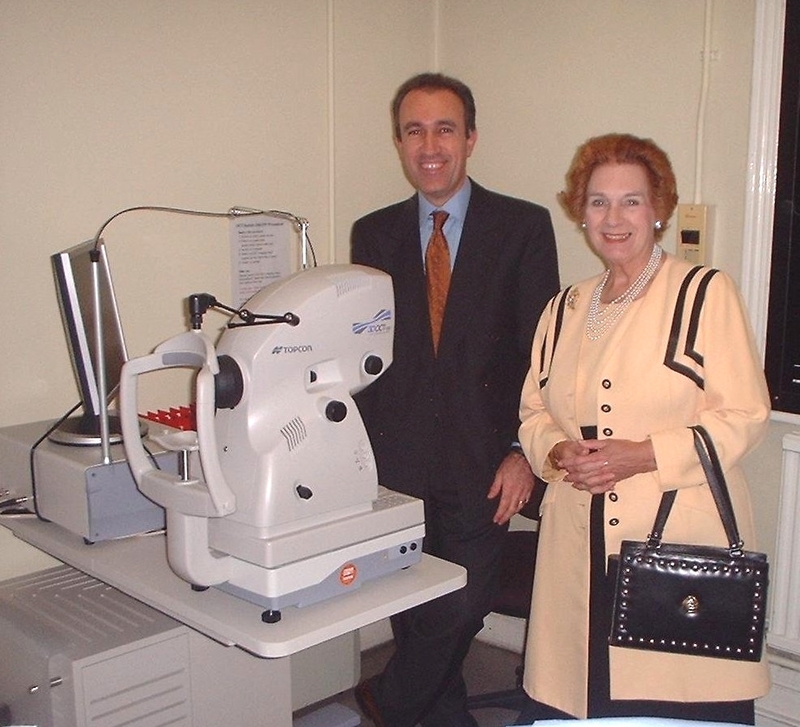 In september 2007, Mr Habib accepted on behalf of the Plymouth Royal Eye Infirmary an Optical Coherence Tomographer from the president of the League of Friends, Baroness Foulkes. Mr Habib campaigned to acquire this advanced technology for the Royal Eye Infirmary to provide the best services in the region for patients with Age-related Macular Degeneration and Diabetic Retinopathy among other conditions.